colors. Jersey numbers not included. Order letter-number kit separately below. 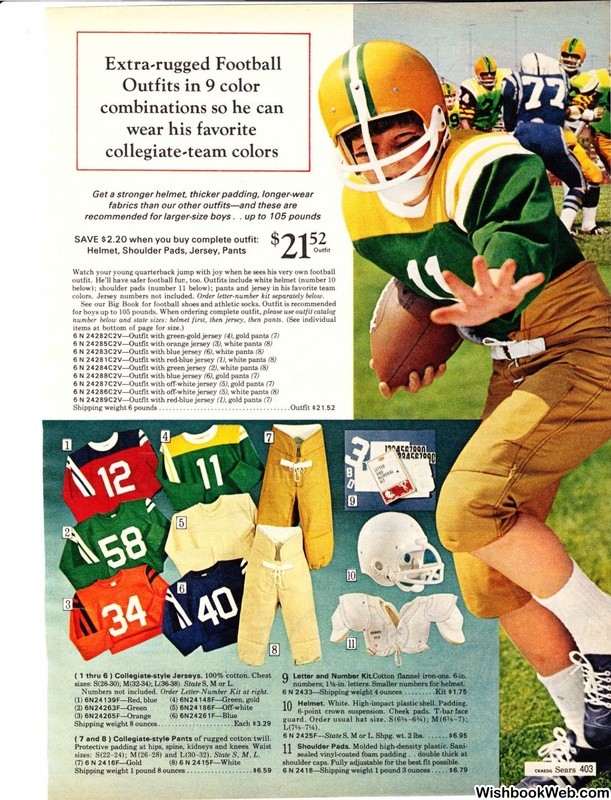 number below and state sizes: helmet first, then jersey, then pants. Order Letter-Number Kit at right. ( 7 and 8) Collegiate-style Pants of rugged cotton twill. sizes: S(22-24); M(26- 28) and L(30-32). State S, M , L.
Letter and Number"Kit.Cotton flannel iron-ons. 6-in. Helmet. White. High-impact plastic shell. Padding. 6 N 2425F-StateS, M orL. Shpg.